Friday we will be in the Monona room, Saturday and Sunday will be in the Michigan Room. The CubingUSA Great Lakes Championship is in Madison Wisconsin this year. The Main events will be on Satuday & Sunday with long events on Friday. There is a competitor limit of 275 competitors. You are viewing the schedule for the venue [Madison Marriott West](https://www.marriott.com/hotels/travel/msnwe-madison-marriott-west/?scid=bb1a189a-fec3-4d19-a255-54ba596febe2). The Marriott hotel has a discounted rate for staying at their hotel if you are attending the Great Lakes championship! 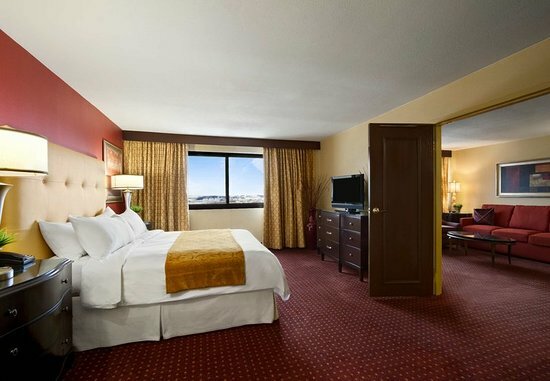 Use this link to get a room at only $114 per night! This is the lowest rate you will be able to get for the hotel that weekend. Staying at the venue is a great way to make getting to the competition each morning very easy and is also a lot of fun to be able to hangout with all the other cubers staying there! We will be recognizing the Great Lakes champion in every event! To be eligible to win the title you must be from one of the following states. There will be more info here once we have a sponsor for the competition. We are planning on having t-shirts for this competition, information will be posted here when we have it availible. We are excited you are considering this years Great Lakes Championship as your first competition! This is a great one to start with and will have competitors of all ages! We encourage first time competitors to test out the timing equipment before your first attempt, feel free to ask a staff member how competing works. Before the competition, you can watch this great video made by WCA Senior Delegate for USA & Canada Kit Clement with the basics of how it all works. There is also this written tutorial on the WCA website that is very helpful. We are going to need all the help we can get from volunteer judges throughout the days to make the competition run well. You may judge in any group you are not competing in and it is greatly appreciated! If you do not know how to judge all of the staff members are more than happy to teach you. Parents are welcome to judge too, it's a great way to get a new experience at your child's event! If you are accepted to staff at this competition you will be expected to help out a majority of the competition. Benefits of being on staff are. We will decide later if more will be added.